Put oil in a soup pot over medium heat. 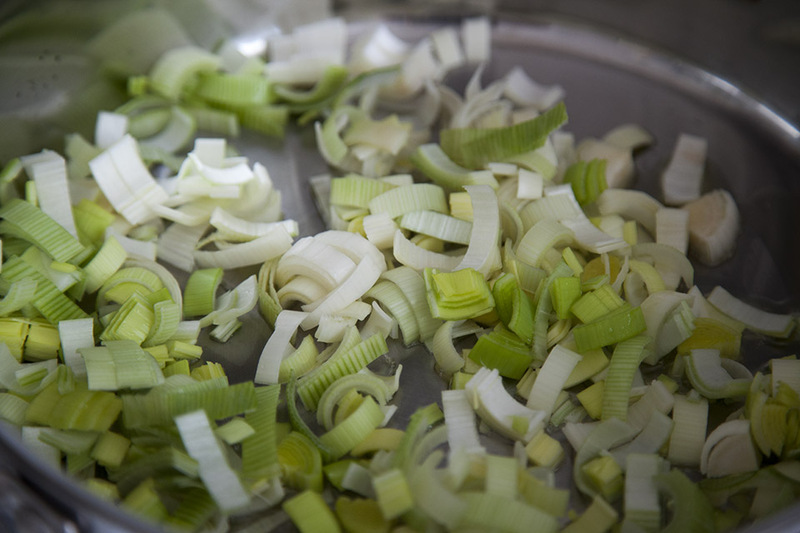 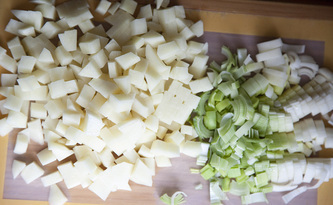 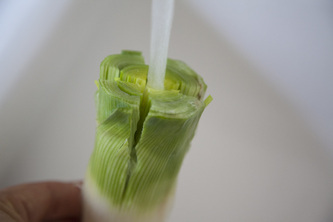 When it is hot, add leek and cook, stirring, for 5 minutes. 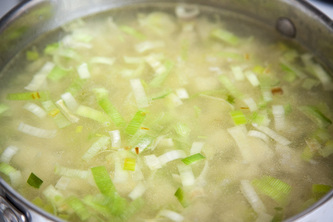 Add ginger and cook for another 1 minute. 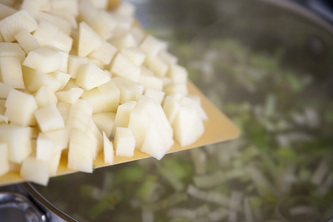 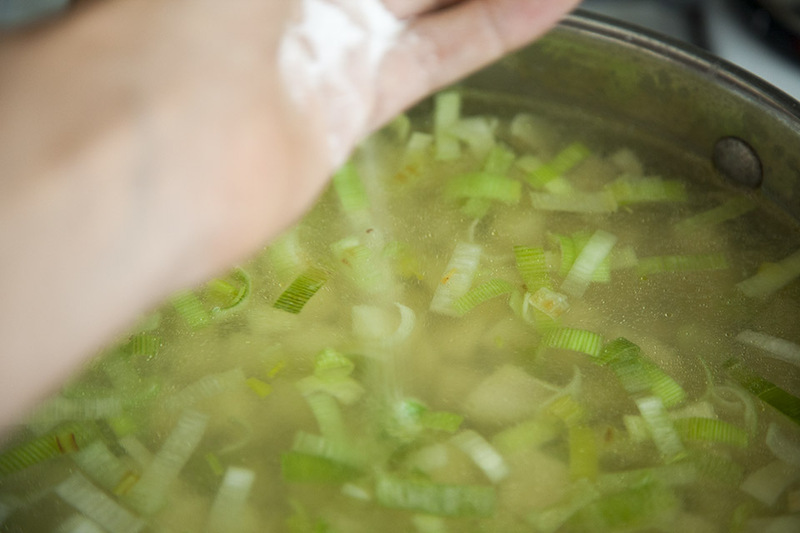 Add 5 cups of water, potatoes, salt, pepper and bring to a boil, then adjust the heat so that the soup bubbles gently. 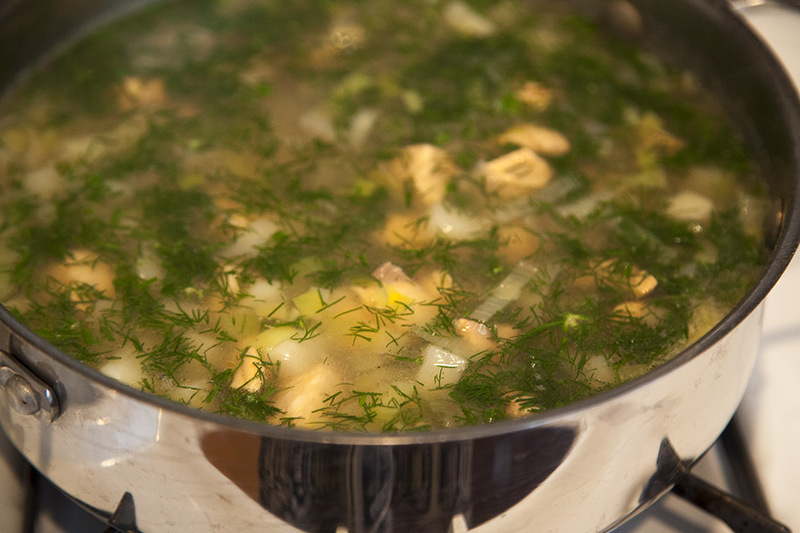 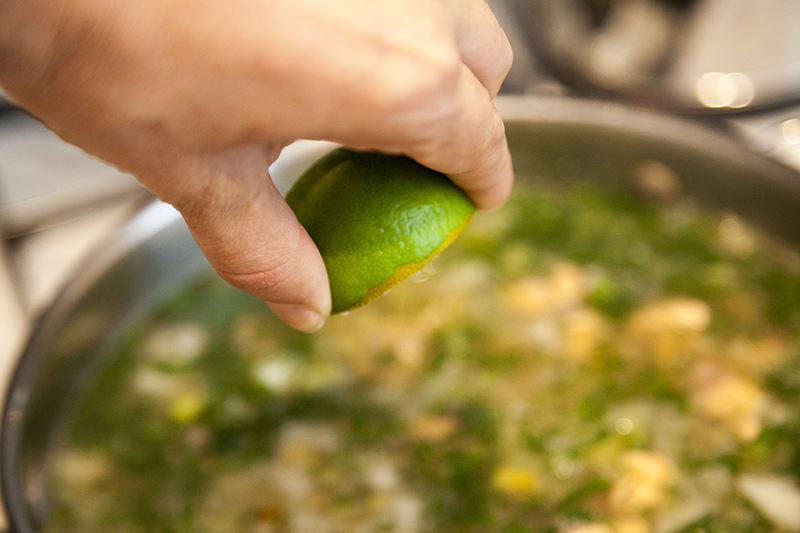 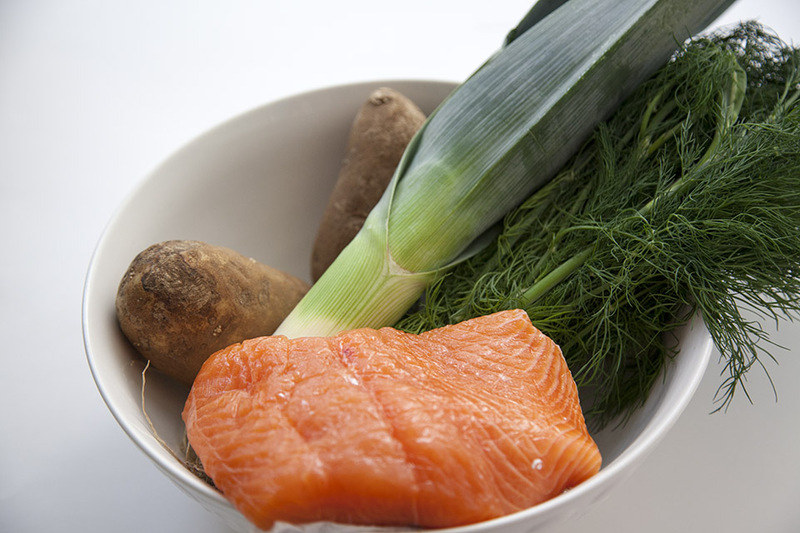 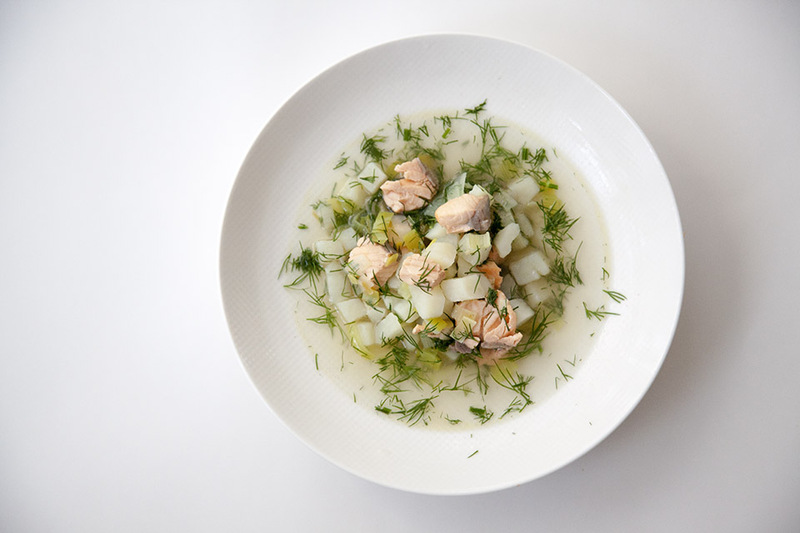 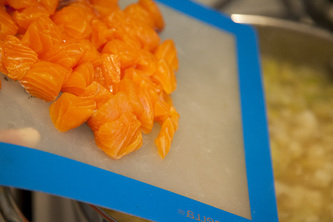 Let soup cook for 15-20 minutes, then add fish, dill and lime or lemon juice and cook 5 more minutes. 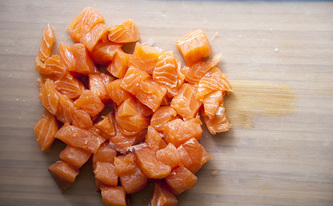 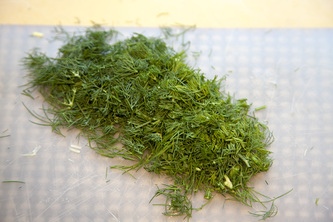 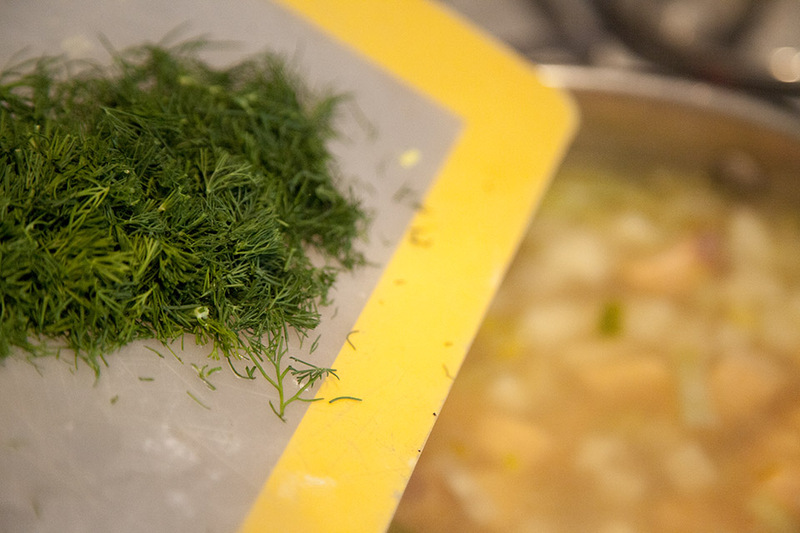 Taste and adjust the seasoning and serve with fresh chopped dill.